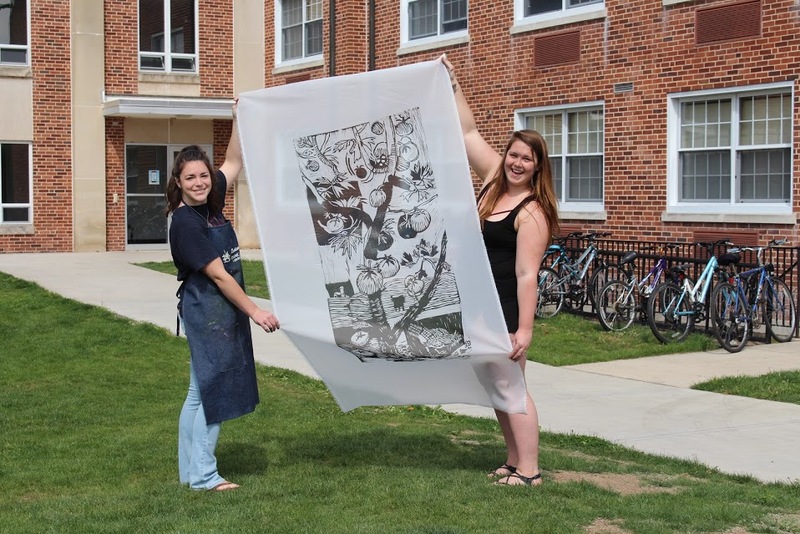 I teach a class at Gettysburg College, Gettysburg, Pennsylvania in printmaking. Most of my students have not imagined blockprinting. 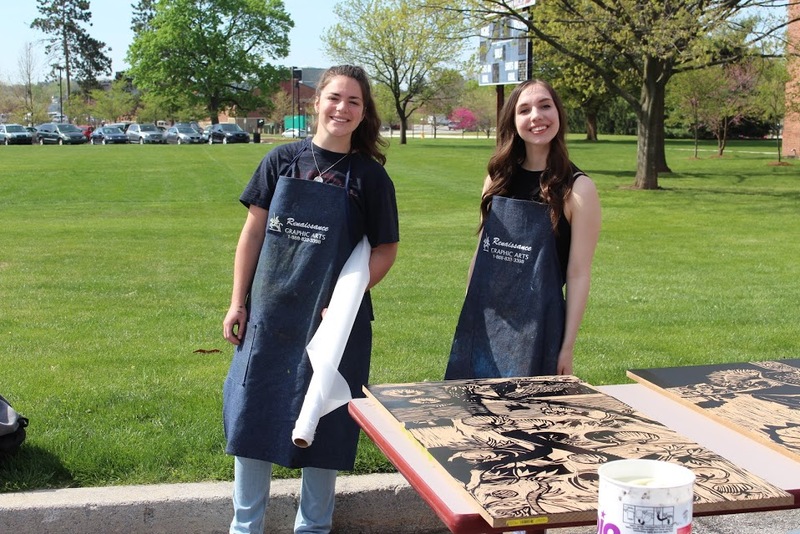 The students are first time undergraduates, majors and minors in the art program. 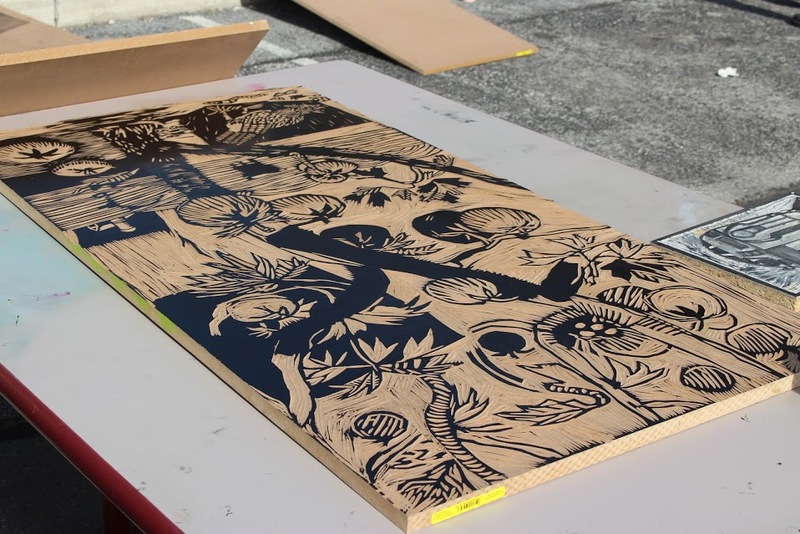 With this in mind all students are issued the same size linoleum block, set of carving tools, and asked to make a design that works in the fashion of an established printmaker. I suggest Frans Masereel because of his simple direct style. Many of the German Expressionist woodcuts are also considered. 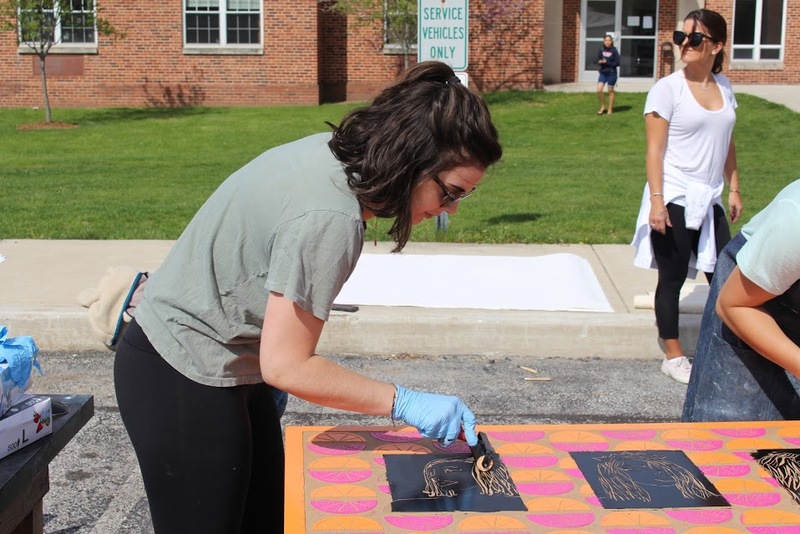 Their subject matter for the first print is a traditional landscape or cityscape, but truthfully the medium is the message and to be able to design in SHAPE is the goal. 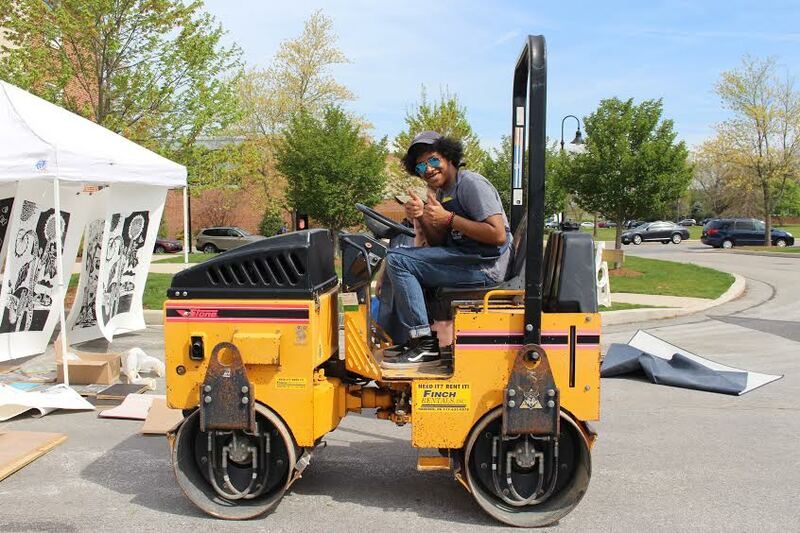 The concept of the large roller (steam roller) print was introduced with the spring syllabus, 2016 as the final print. 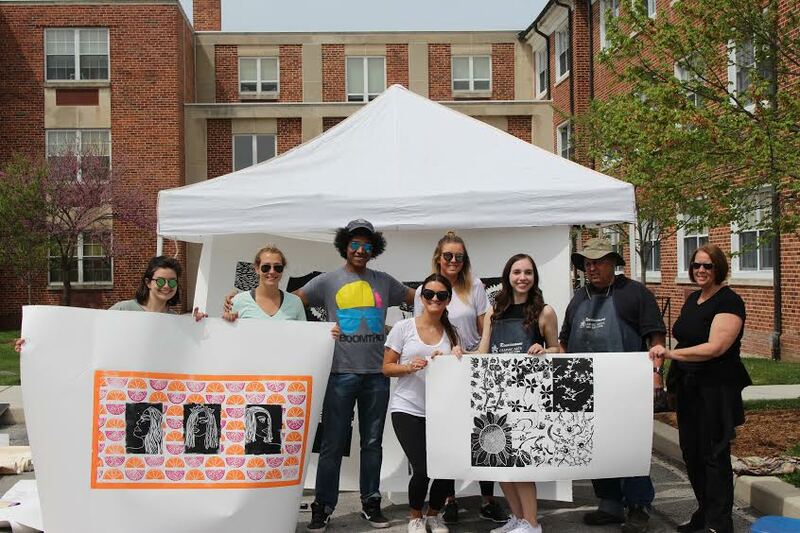 As the semester progressed we established teams of two or more, to develop concept and design for the print. The designs and prints you see are individual images and community driven images. There is a shared teaching responsibility. We use MDF board purchased at Lowes cut down as needed from 4’x8’ boards. The students must come with me as a class trip to shop for supplies and all the work on the day of printing is part of the process as well. The spring day of printing was great fun. I like to challenge the students and give them a long term goal, for the end of the semester, and because of the portability of the relief print, all can work after graduation. I prefer to let students find their way in class, with guidance from me. The limitations of the relief print forms the structure.